His secret saved her life. Now, she must fight for his. I had pretty high expectations when I started this book, and I am pleased to say that this book was able to meet all of them. It was one of the sweetest, purest romance books I've read in some time. I loved it. The writing was superb. Stiefvater obviously knows how to write, and the story was enhanced by her ability to describe emotions and settings. I was never bored by her language and the cursing was kept to a minimum, which I appreciate. For me, it ruins the book whenever an author uses a large amount of explicit language. I also appreciated the maturity level of the writing- this book may be categorized as a young adult novel, but the writing is never condescending. In the beginning, I had a hard time bonding with the main character, Grace, but by the time I was halfway done with the book, I felt a strong connection with her. She is both relatable and realistic. I absolutely adored Sam. For once, he wasn't the dark bad-boy with a mysterious past. His innocence and respect for Grace made him all the more endearing. Unlike many of the boys in young adult books, this is one of the boys that is really good for the girl. Supportive, self-less, and loving. Sam is the perfect yet believably realistic guy. For the first part of the book, I kept asking myself where the plot was going. Boy meets girl, they fall in love, but then what? It did take a while for the story to unfold, but there was a good plot underneath the teenage romance. Parts of the werewolf legends were familiar, but Stiefvater puts a new spin on the wolves. No Twilight-wannabe werewolves here. 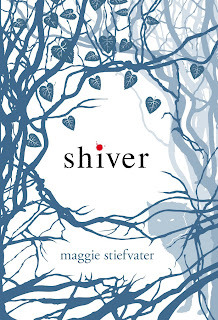 Shiver was a very enjoyable, romantic read. If you're looking for a sweet story about star-crossed lovers, this is the book for you. I will definitely be picking up the sequel, Linger. The ending to Shiver was so abrupt! I'm dying for a sequel. I really liked this book too! Great review, and I totally agree about Grace and Sam - aren't they the cutest couples? !